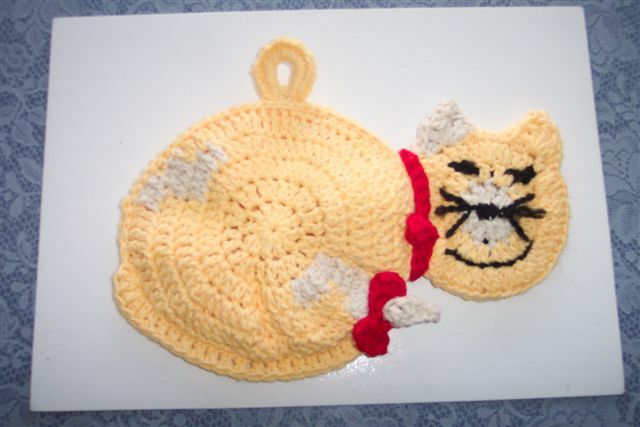 I am making two potholders that look like a cat. They are cuter than what I esxpected, specially after I added the collar , the bow tie and the whiskers to the pattern. I also altered the way the tail is created. It did not make sense to me to create the tail then to sew it on. Why not create it in place? I did. His brother will come to life some time tomorrow. It s a calico kind of cat, he brother is a little different color, but close enough to say it is his brother. I will reveal his name tomorrow. Let say if the Romulans were close they will steal both of them for the Romulan Star Empire. Thanks for stopping by and come back again. Long live the Empire. Oh Andy, these are so cute!!! You have been so busy creating all these cute things! !